Once BoldGrid is installed in your WordPress site, you’ll want to get started. 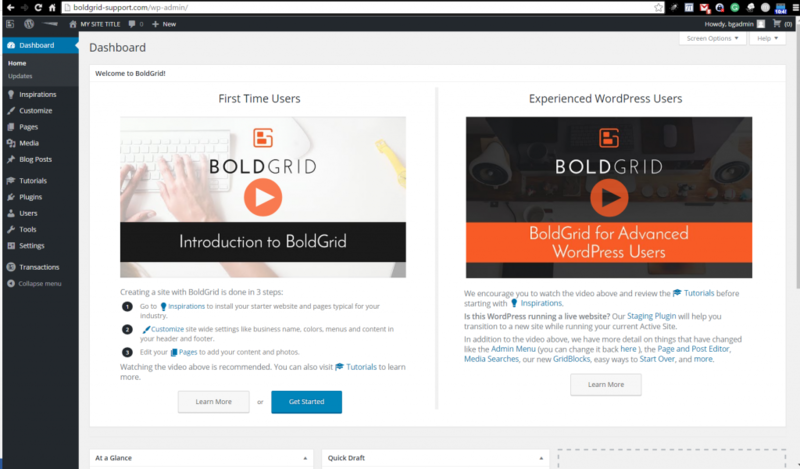 To start using BoldGrid and build your custom site, you’ll need to log into the BoldGrid dashboard. 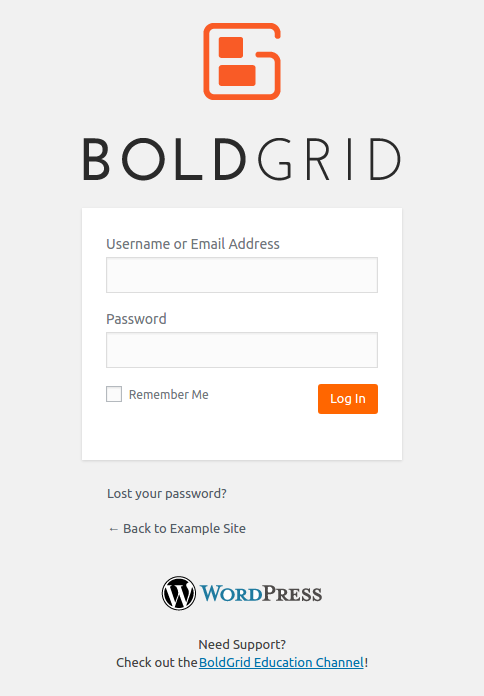 Logging into the BoldGrid dashboard is simple. It is identical to loading into a WordPress site. 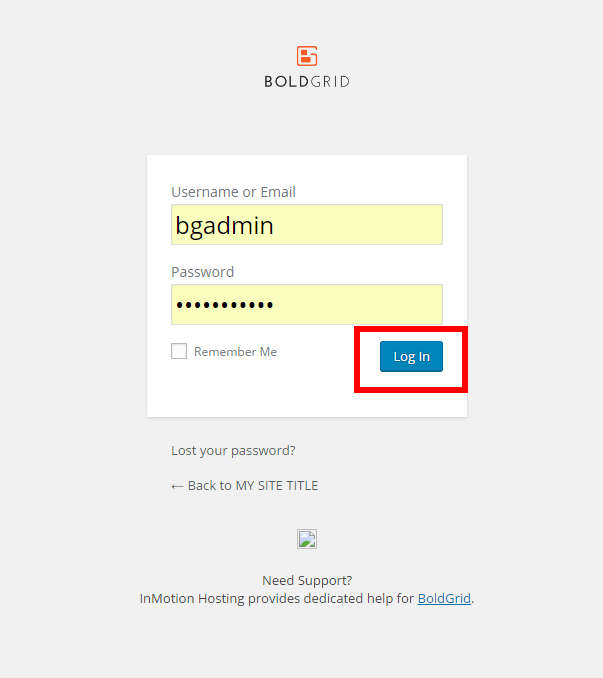 Type the username and password you set up during the installation process. Click the Log In button. That’s it! Logging into BoldGrid is simple. You can bookmark the login page for easy access later.